Krista Watterworth Alterman received her Master of Fine Arts from the famous New School in Manhattan and furthered her studies at Parsons School of Design, ranked as one of the top five design schools in the world. As if her education wasn’t impressive enough, Krista has hosted the hit HGTV shows Save My Bath and SplurgeSave, and has been featured on You Should Live Here, Kitchens and Baths, Ultimate Bathrooms, 25 Biggest Decorating Mistakes, and The Big Reveal. Krista’s kitchen designs have been featured on HGTV’s Spice Up My Kitchen. Also, she’s been a regular guest on the Philadelphia-based show Your Morning and WMMR’s Preston & Steve, as well as WHJJ’s Real Estate Insight and KMBZ’s Living Large with Karen Mills. Beyond her television credits, Krista Watterworth is a interior designer and founder of her own company: Krista Watterworth Design Studio. I define my style as classic contemporary. I love using timeless materials, such as natural stone and wood, in combination with modern-day fabrics, finishes, and silhouettes. Rooms that are too traditional feel heavy to me. Conversely, minimalist modern spaces can sometimes feel empty. I like to walk the line between classical beauty and bright open space. I like my clients to have a design package which stands the test of time. Who are your greatest style influencers? One of my favorite interior designers is Kelly Wearstler — I’m inspired by her bold, unique approach. To me she represents modern day glam at its finest. I’m also inspired by fashion. For me textile weaves and patterns transcend the boundaries of both interior and fashion design. A smart designer takes contemporary style and uses it to create his/her own sense of beauty. What do you think is the single most important element of interior design for the home? Balance and repetition. Even though a designer look is achieved with careful and thoughtful planning it shouldn’t be predictable. Each room ought to flow seamlessly into the next with slight variances in color, finish, and texture. If a client has a bold sense of style I go bold or go home! 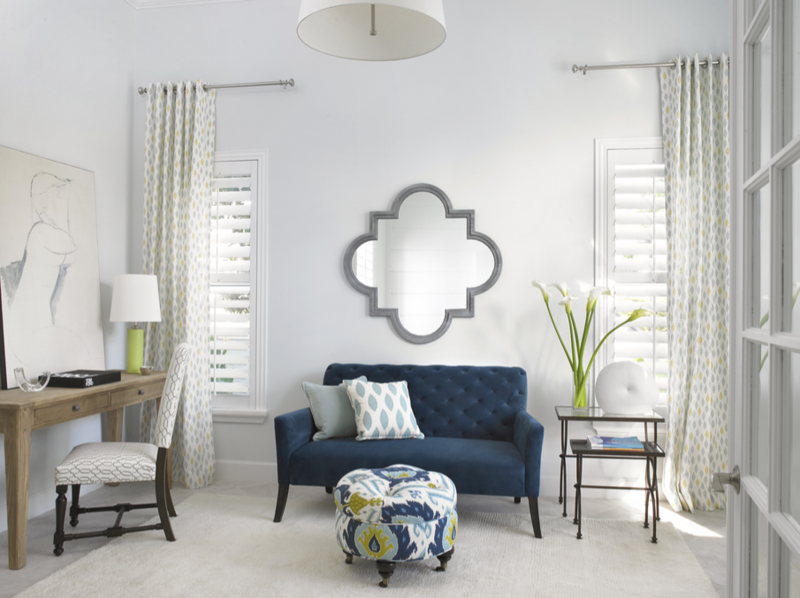 The entire home needs to reflect that sensibility, not just one room. If not, the home feels disjointed and unfocused. 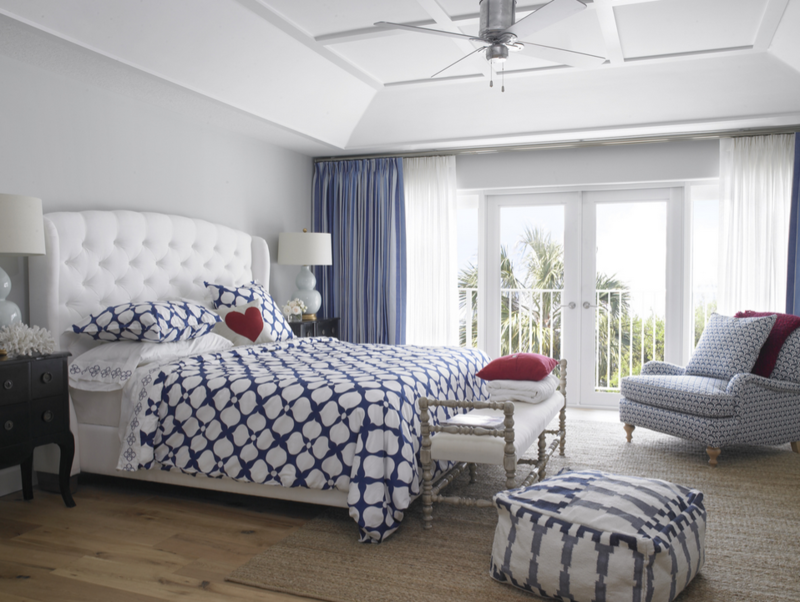 Repeating certain colors, wood tones and patterns help one room flow effortlessly into the next. Every room in the house should feel like it has a right to be there. What was the greatest compliment a client gave you? 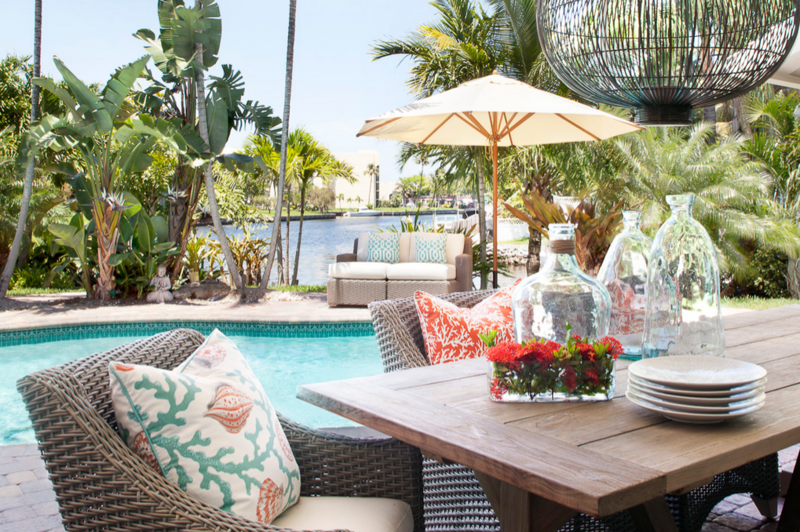 A wonderful Montreal couple bought a winter home here in South Florida and they called on me to design it. They are both physicians and have been married for forty years. During the design process, they trusted my style and allowed me to have free reign with their project. The result was a beautiful home and they were very gracious. Before they left for their Spring home up north, I got a letter from them that said, “we now have a home, different from anything we have had before…a home and refuge for us and for our children and their children”. That was a thoughtful, beautiful comment. This makes my stressful job worthwhile! The heart of everyone’s home: my kitchen! It’s where everything seems to happen. Our friends gather there for weekend BBQs, my children create their artwork and craft projects, we bake or make breakfast as a family, and my husband sneaks in nightly for late evening snacks. I also love to cook and entertain so when I’m not tending to my clients and my business, I’m a mad culinary scientist in my kitchen. The irony is my kitchen is in need of a major overhaul so I’m planning to start a renovation in August. Wish me luck!